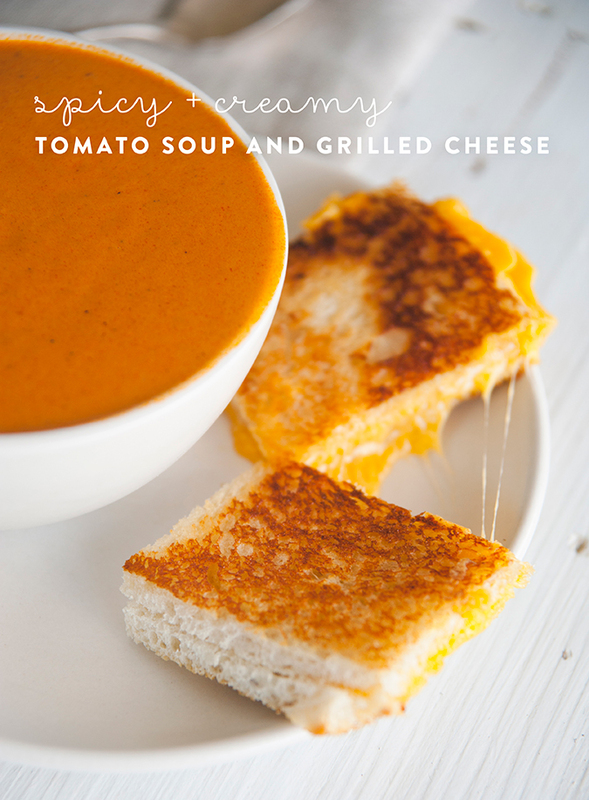 I was never into the tomato soup and grilled cheese combination. 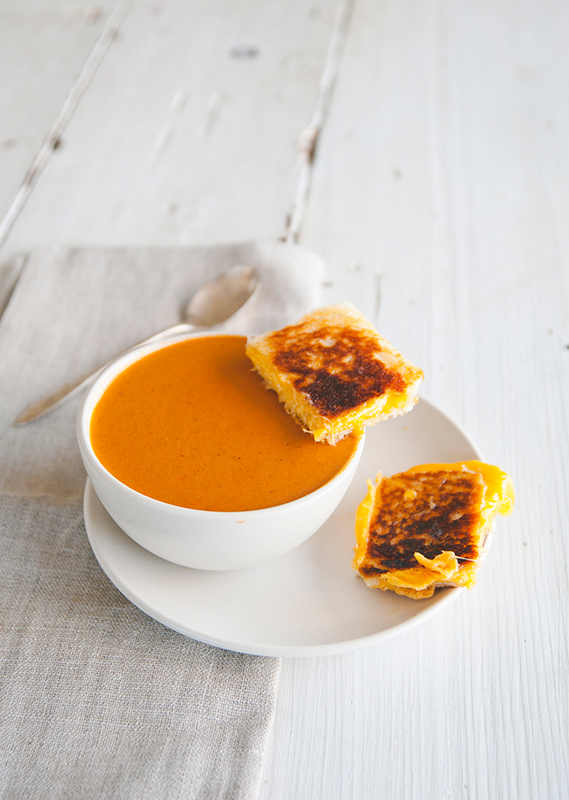 I’ll take the grilled cheese, but skip the soup, thank you very much. Tomato soup always tasted like pasta sauce to me, sort of out of context, and I did not understand why a grilled cheese would need to be near this. It sounded like an Elvis Presley sandwich combination (peanut butter, bacon, and banana), meaning, a totally bizarro one. And then I got pregnant. 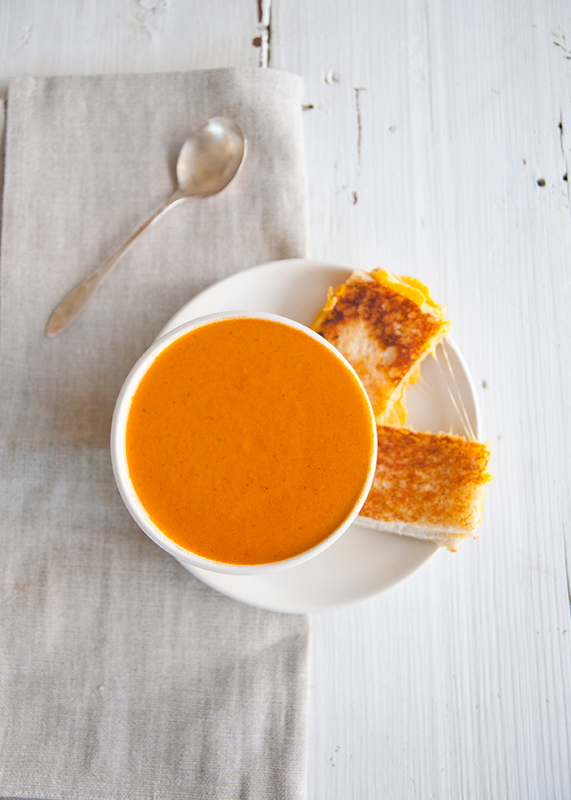 All of a sudden tomato soup and grilled cheese didn’t sound like such a bad idea, it sounded like a really, really good one. On top of that, I used a pasta sauce recipe for the base of my soup and loved every spoonful of it. I was dipping my sandwich in and scraping the edges of the bowl. It was heaven. So maybe my baby possessed my body like how Zuul gripped Sigourney Weaver in Ghostbusters. 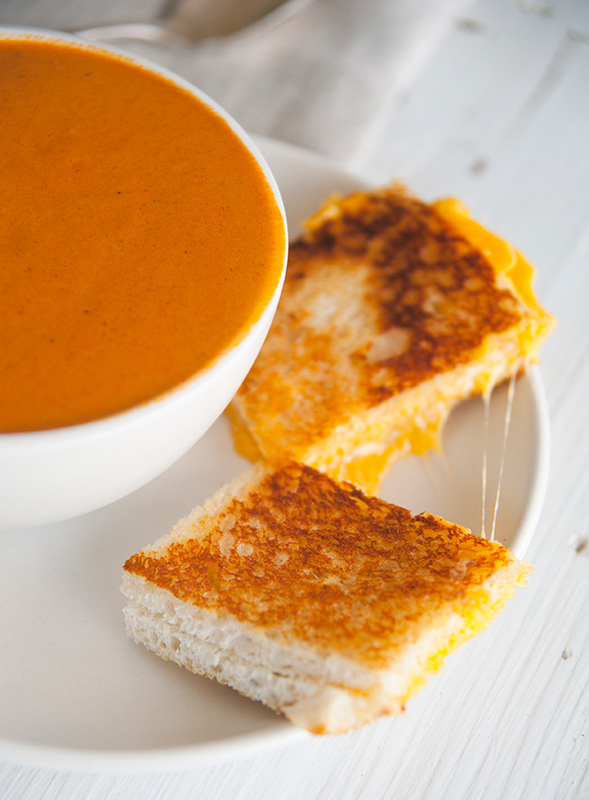 I wasn’t the one who needed tomato soup and grilled cheese—it was my baby! Well, whether it was temporary insanity or my craving is here to stay, I’m not sure. But I will say this: This combo is bomb. 1. In a saucepan, sauté the onion and garlic in olive oil over medium heat. Add the crushed chili flake and paprika. Make sure it doesn’t burn. 2. Add tomatoes, basil, sugar, oregano, salt and pepper. Bring to boil and continue to boil for 5 minutes, or until most of the liquid evaporates. 3. Add broth. Reduce heat and simmer for 30 minutes. Remove from heat and stir in the cream and butter. Purée. 1. Place two pieces of cheese on one slice of bread and add the other two slices of cheese, and press the other slice of bread onto it. With a knife, butter the bread. 2. Heat a skillet over a medium flame, and press the sandwich on, buttered side down. 3. Press until the bread is golden brown and the cheese has started to melt. Butter the other side of the sandwich (which is facing up) and flip. 4. Cook until golden brown and the cheese is gooey (this should all take about 3-4 minutes). Slice and enjoy! Will you be whipping up this classic combination? Let me know in the comments if you’re interested!